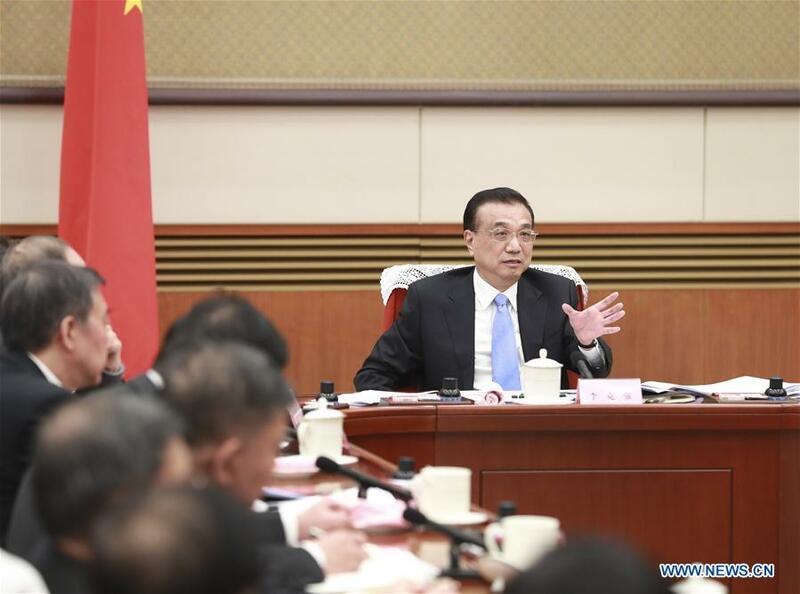 Premier Li Keqiang said Thursday that China will be able to keep economic growth within a reasonable range, despite greater difficulties this year, by innovating and improving macro-control. Li, a member of the Standing Committee of the Political Bureau of the Communist Party of China (CPC) Central Committee, made the remarks when presiding over a symposium for soliciting views and suggestions on a draft version of the government work report. The symposium was attended by leaders of non-communist parties, the All-China Federation of Industry and Commerce and representatives of personages without party affiliation. Han Zheng, a member of the Standing Committee of the Political Bureau of the CPC Central Committee and vice premier, attended the symposium. China has already learned how to keep economic growth within a reasonable range without adopting strong stimulus policies that would have an economy-wide impact, Li said. With innovations and improvement in macro-control, the country will be able to attain a relatively high level of employment, sustained growth in income and improvement in the natural environment, he said. China will focus more on stimulating vitality of market entities by deepening reform and opening-up, improving the business environment and helping enterprises, especially small ones, reduce their burdens substantially, Li said. The country will also accelerate the buildup of new drivers of growth and upgrade traditional growth engines by offering greater support to business startups and innovation, he said.